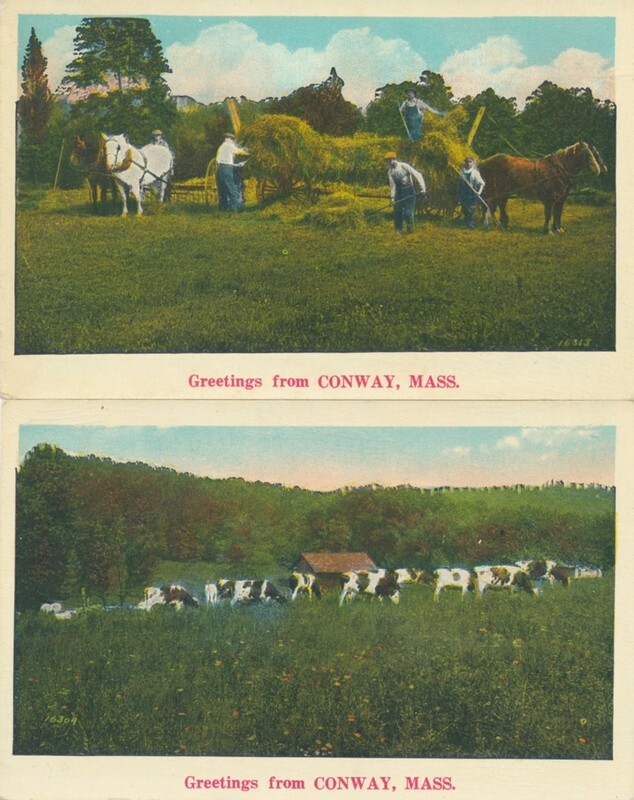 5 standard colorized postcards of generic farming and nature scenes. Cards do not appear to depict specific Conway locations. 1) sheep beneath shade tree in field; 2) person walking on dirt road; 3) cars on a road through the woods; 4) farmers and horses haying a field; 5) cows grazing in a field. 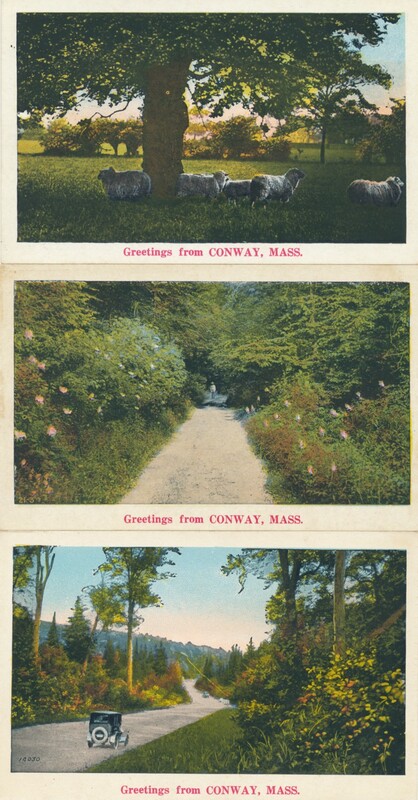 All include "Greetings from CONWAY, MASS." on front and "NYCE Quality Colored Landscape Locals" on reverse. NYCE Manufacturing Co., Vernfield, Pennsylvania. NYCE Manufacturing Co., Vernfield, Pennsylvania., “Colorized Postcards of Bucolic Scenes,” Conway Historical Society, accessed April 21, 2019, http://conwaymasshistory.org/items/show/630.